Flowerama delivers flowers and roses everyday of the week in Clintonville. We are an award winning flower shop with four locations. We have great prices on roses carnations and many other flowers. We are locally owned and operated and we love what we do. Flowerama even created a special arrangement just for Clintonville called "Clintonville Wonder". 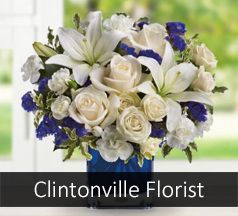 We also provide daily flower delivery to Clintonville businesses, Clintonville funeral homes, Clintonville schools,Clintonville hospitals, and Clintonville nursing homes.